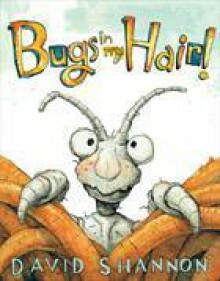 David Shannon,Hardcover, English-language edition,Pub by Scholastic, Inc.
http://Kcauseyd.booklikes.com Books worth reading to students 4.0 Bugs in my Hair! text Bugs in my Hair! http://MaceyThompson.booklikes.com Macey Thompson's Tales 4.0 Bugs in my Hair!